Projects include a crawfish tray, a garden flag and a small kitchen tile and a small hot mess wooden sign. 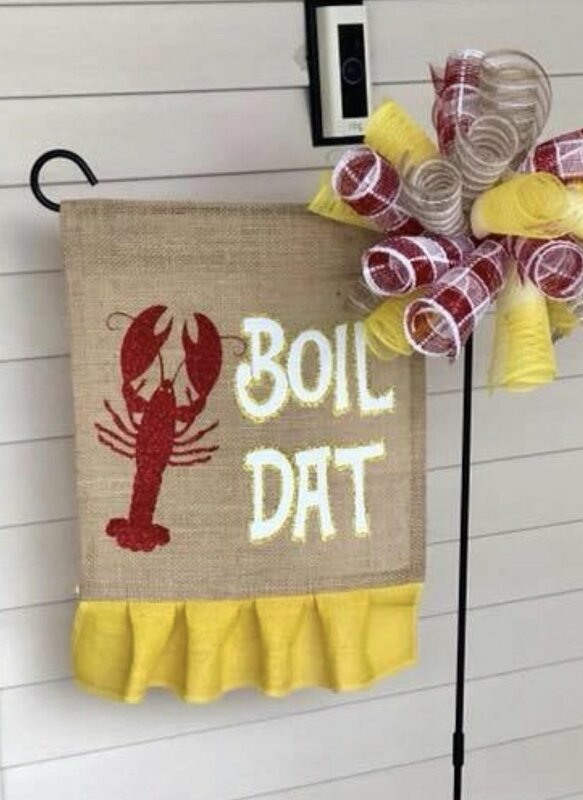 Materials Included: Class notes, class designs, crawfish tray, tile and garden flag. Vinyl not included. Requirements: Silhouette 101 and 201 are pre reqs for this class. Students will need 1 sheet of red adhesive vinyl, 1 sheet of red glittered HTV and 1 sheet of yellow glittered HTV.